McKesson's RelayHealth is the winner of the Blue Button for All Americans Contest. VA ANNOUNCES WINNER OF "BLUE BUTTON FOR ALL AMERICANS CONTEST"
WASHINGTON – RelayHealth, McKesson’s connectivity business, has been named the winner of the Department of Veterans Affairs (VA) “Blue Button for All Americans” contest. We have a winner in the Blue Button for All Americans Contest! 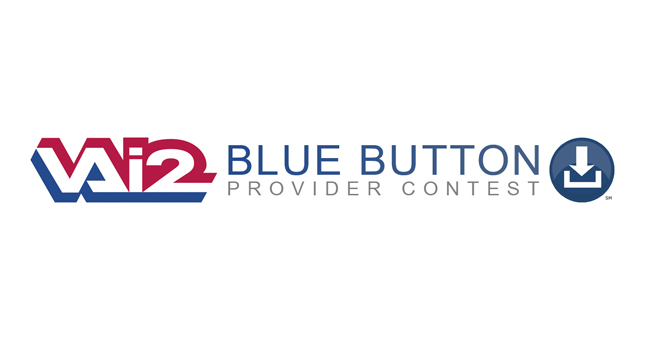 Folks: There is a winner in the Blue Button® for All Americans Contest! We'll be making a formal announcement early this week, so watch this space, the VAi2 website http://www.va.gov/vai2/, the VA media room: http://www.va.gov/vai2/, and the VAntage Point blog: http://www.blogs.va.gov/VAntage/ for official word. We're quite impressed with what our winner has done with the Blue Button®. We think you will be, too. Here’s another question about preparing an entry in the contest which, in fairness to all participants, we thought we should answer on the Blog so everyone can rely on the response. We’re paraphrasing the question just a little bit. We received some questions the other day from a participant who wanted some guidance about the entry which they’re preparing. In fairness to all potential entrants, here’s the questions (some of which we’ve paraphrased) and our answers. Q: Can the five page narrative description required by Section 5(b)(i) [of the rules] include graphics? A: Yes, but the narrative -- including graphics -- can’t exceed five pages. One of the really cool things about contests like this is that they generate conversations which help turn complexity into simplicity.